This pendant necklace has been made from a vintage silver plated teaspoon. The star design has been hand cut and the cut piece hangs separately as an added design element. The lower half of the pendant has been patinaed in order to give it a beautiful sheen like a setting sun. 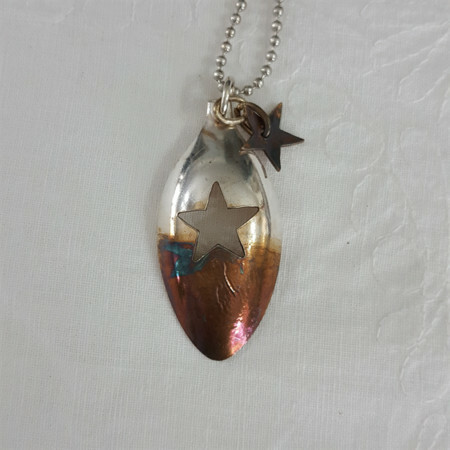 This pendant comes with a 75cm long ball chain so it slips easily over the head.